Water based gold size ready to gild on in about 15 minutes, but will remain open indefinitely. 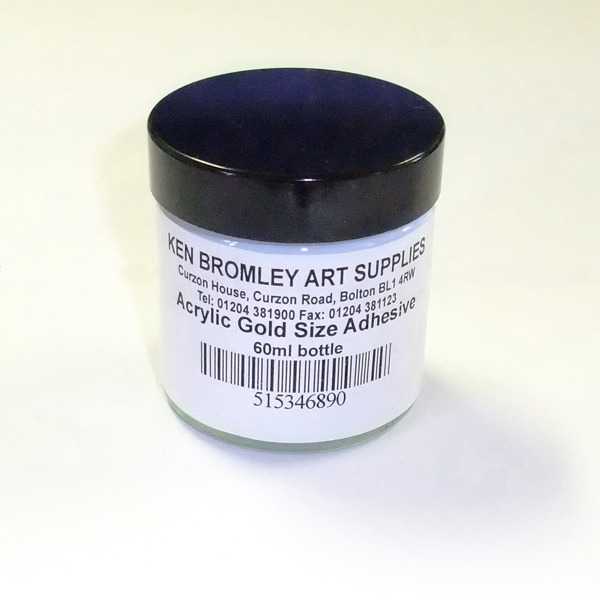 For use with schlag metal, gold leaf and bronze powders. Use over a non-porous surface or one that has been sealed with shellac varnish. 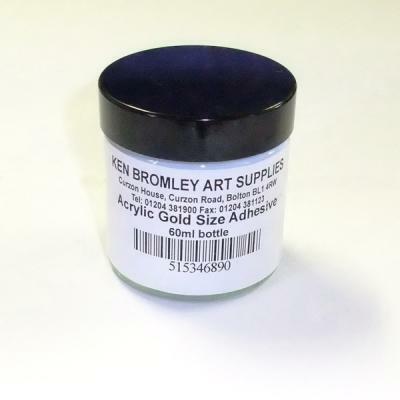 Acrylic gold size is only suitable for indoor use. For outdoor use please use the Japan Gold Size Adhesive. I don't agree with the previous reviewer (Illuminatio Mea). I really like this material. I think it depends on what you use it for. I use it when I work with chine colle and etchings. I use a fine spray of it onto the thin Japanese papers. I then spray it with a fine spray of water and let it sit while I get my etching ready on the press. Depending on how long all the pieces have been sitting I may then redamp the fine chine colles and place them carefully onto the etching plate with the print paper on top. I then put it all through the press. This product is described as remaining 'open' i.e.tacky, indefinitely. This is an advantage in that the laying on of the gold can be done at leisure, but it means that the job remains sticky for weeks rather than hours. I found it impossible to burnish work done with this material.